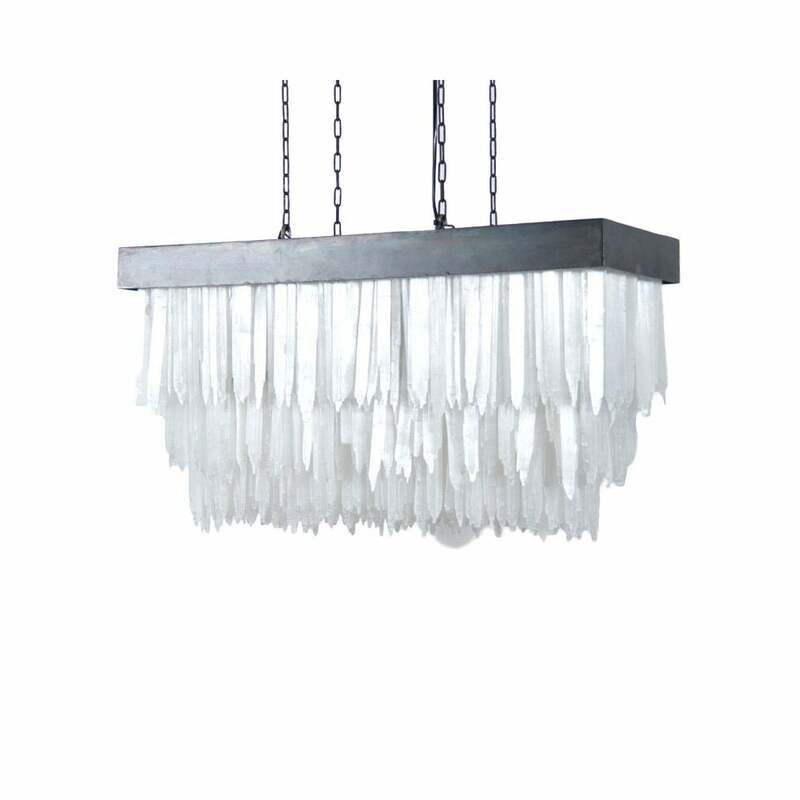 Stunning chandelier made with selenite sticks. Black metal finish frame - also available with other frame finishes. This version takes 3 bulbs.